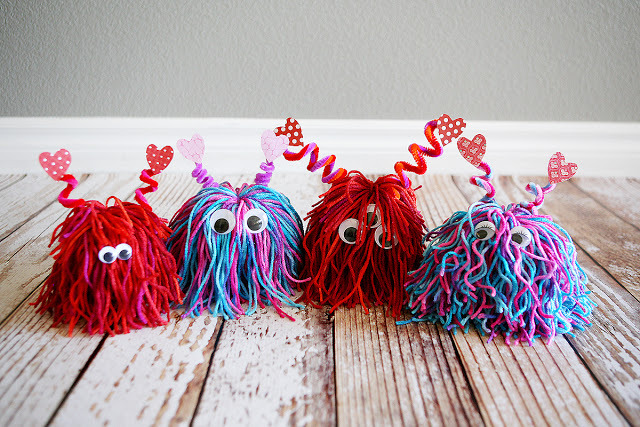 My oldest daughter is in the third grade and if I were throwing her class Valentine's Day party this year then we would definitely be making these cute little love monsters. They would make fun valentines to give to classmates too! I know my preschool age daughter would fall in love with these. Take away the cute hearts on their antenna and broaden the color choices and you have a great craft for any monster themed party too!